It is oft argued by libertarian think-tanks that introducing minimum pricing for alcohol would lead to moderate drinkers from low socio-economic status backgrounds suffering disproportionately. Indeed, this was cited as a reason for the Government dropping the policy they had previously endorsed. A new paper published today in the Lancet suggests this may not actually be the case. Not only that, but harmful drinkers from low socio-economic backgrounds would actually benefit the most from such a policy change, reaping over 80% of the predicted health benefits of reducing their harmful drinking. The study authors suggest that the implications of introducing a minimum alcohol price may actually help to reduce health inequalities, which would be of huge benefit to society. The study uses economic and epidemiological models to predict the effect on spending, consumption, and health, of introducing a minimum alcohol price of 45p per unit. 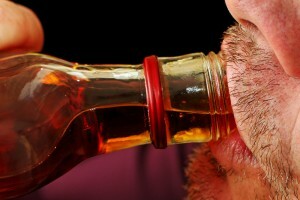 Overall the model predicted the policy would result in the equivalent of 12 units less drank per year per drinker. But the policy would affect different types of drinkers, and people of different economic backgrounds, differently. The model includes data collected across the UK on current alcohol prices, current drinking patterns in UK adults of various ages and backgrounds, current spending on alcohol by various different groups. All these factors had been measured at multiple times, so could be tracked against previous fluctuations in alcohol pricing. This is not true longitudinal data as it is not necessarily the same people measured at each time point, but data of that nature does not exist. Health outcomes were assessed from data from the Office of National Statistics’ Hospital Episode statistics. 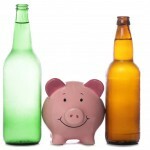 Findings have shown that moderate drinkers don’t purchase much alcohol at under 45p per unit. Alcohol that is this cheap is typically strong, and usually bought by heavy drinkers, and young drinkers looking to get very drunk as cheaply as possible. This means moderate drinkers wouldn’t be overly affected by the introduction of minimum pricing. This is true even for moderate drinkers from low-income backgrounds. The study found that less than 20% of the alcohol these moderate drinkers from low socio-economic backgrounds drink costs less than 45p per unit. The study divided socio-economic status in to three categories, routine or manual households, intermediate households, and managerial or professional households. The drinkers that currently buy the most alcohol under 45p per unit are those classified as harmful drinkers by a measure called the GLF (General Lifestyle Survey). This tool divides people in to moderate, hazardous or harmful drinkers, with harmful drinkers being defined as men who drink more than 50 units a week, and women who drink more than 35 units. Harmful drinkers with a low income currently drink the most alcohol priced below 45p per unit; about 40% of their alcohol (see figure below). The model predicts that a minimum alcohol pricing policy would lead to reductions in drinking in heavy low-income drinkers, and some critics of the policy believe that a reduction in drinking is a negative policy outcome. 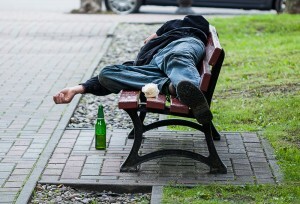 But the study found that most low-income drinkers do not fall in to the harmful drinking category; harmful drinking is actually most common in those of higher socio-economic status. However, the negative health outcomes of harmful drinking currently disproportionately affect those of low socio-economic status. A wealthy person with a drinking problem is less likely to suffer serious health problems or die from alcohol-related diseases than a similar drinker who is less well-off. That the health benefits would improve so much more greatly for those harmful drinkers of low socio-economic status is a really interesting finding. If this model is correct, and the introduction of minimum alcohol pricing would actually go some way to reducing health inequalities in the UK, then this is of huge importance. It’s also interesting to note that the model predicts that the amount people spend on alcohol will not change greatly. 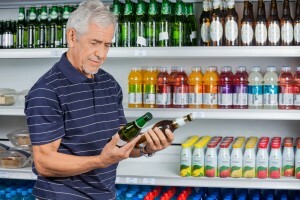 It predicts people will move brands or type of beverage, for example, to avoid paying more overall for their alcohol. Of course, this is only a model, so may not really represent what will happen in the real world if the policy is introduced. The model has been used before, to predict the impact of introducing minimum alcohol pricing in Canada. Findings from that study slightly underestimated the effect of the actual introduction of the minimum pricing; the model was quite conservative in Canada. Canada also provides us with concrete evidence of what happens after minimum alcohol pricing is introduced. And it’s good news for health, as research showed a drop in alcohol related harm after the policy was introduced. If the UK Government truly want to protect high risk drinkers from poor health and untimely death, this study suggests minimum pricing of alcohol could be an effective and efficient way of doing this, without penalising those who drink more moderately. Some effects of introducing such a policy cannot be predicted. There’s the potential that alcohol companies will put up prices further than they need to, and ‘blame’ the entire increase on the policy, as the tobacco industry has done in the past when taxation has increased. Actions such as these are harder to build in to such a model, and of course there will always be limitations in predicting future behaviours from past actions. Figure: Estimated reductions in annual units consumed per drinker by income quintile and consumption group for a £0·45 minimum unit price, with sensitivity analyses. Error bars show 95% CIs calculated with a probabilistic sensitivity analysis. @Mental_Elf @soozaphone @field_matt It will certainly reduce consumption, which will in turn have a positive impact on population health. @Mental_Elf @AlcoholConcern @Breaking_Free_ @ACCymru More evidence that it’s a targeted, effective measure! Robbing the poor to generate higher profit margins for corporations under the guise of doing good for the economically disadvantaged is pure evil. Anyone enacting such an extortion scheme belongs in prison, for the remainder of their life, for they pose a greater threat to the well being of the poor and all others than any other group of people. 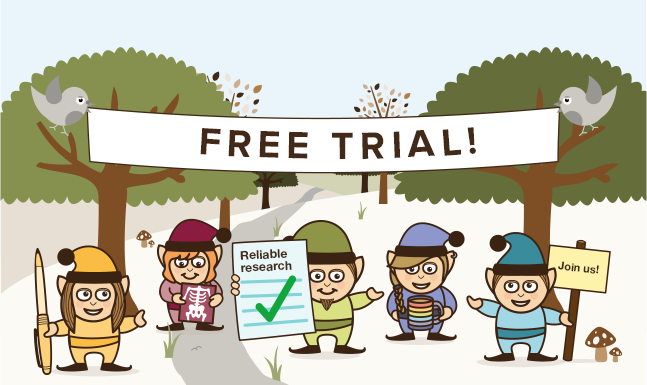 MT @Mental_Elf: Our most popular blog this week? 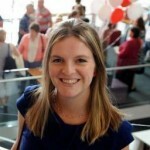 @soozaphone on MUP: http://t.co/sklgoy60rs <<Fantastic! The poor won’t know what hit ’em!